Atopic dermatitis or atopic eczema is a chronic, relapsing, familial, symmetric and pruritic inflammatory skin disease that commonly presents during early infancy and childhood, but can persist or start in adulthood. It is commonly associated with elevated serum immunoglobulin E levels and a personal or family history of allergies, allergic rhinitis and asthma. It is one of the most common skin diseases afflicting both children and adults. 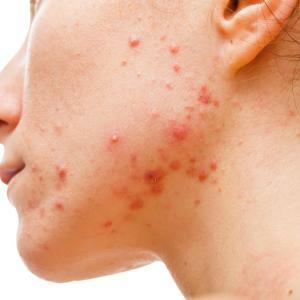 All patients with acne are potentially at risk of scarring. Professor Goh Chee Leok addresses this issue by focussing on preventing the development of scars in his talk at the 41st Annual Meeting of the Dermatological Society of Malaysia held in Kuching, Sarawak. Non-purulent cellulitis and cutaneous abscesses, despite both belonging to the spectrum of skin and soft-tissue infections, are aetiologically different, a new study reports. Further, atypical bacteria may be present in cellulitis patients, indicating novel disease mechanisms. Olumacostat glasaretil (OG) appears to be effective and is well tolerated in patients with moderate to severe facial acne vulgaris, suggesting the need for further development, according to a new study. Cost of treatment is a major driver of patients’ primary nonadherence to acne medication, according to a recent study. Physicians who openly discuss medications costs and provide a plan of action in case patients are unable to fill prescriptions may improve treatment adherence.